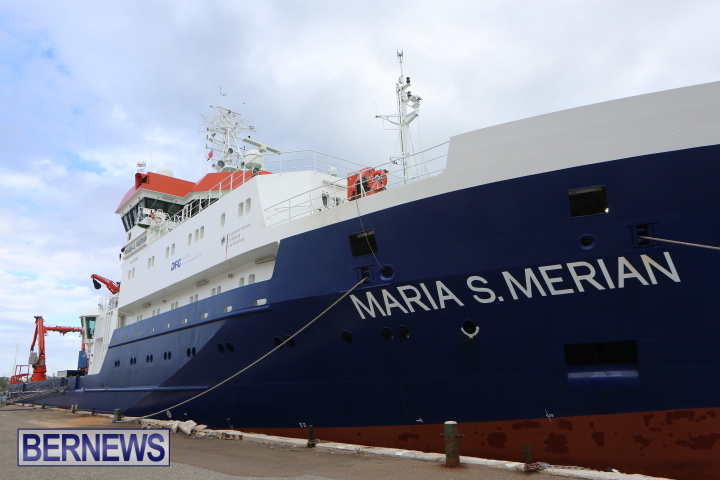 [Updated] German research vessel Maria S. Merian is presently docked in St. George’s, with the boat outfitted for investigation of the sea-bottom, the water and the atmosphere. 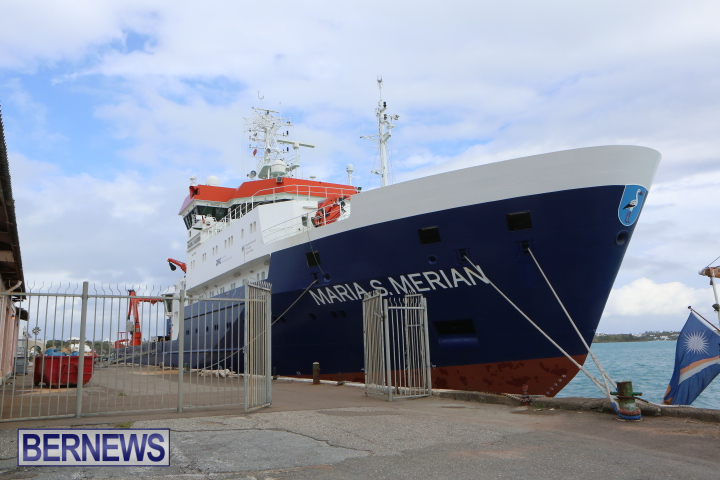 According to the German Research Foundation, the Maria S. Merian is a “multidisciplinary research platform equipped with outstanding facilities which allow the use of all modern methods of investigation of the sea-bottom, the water and the atmosphere. 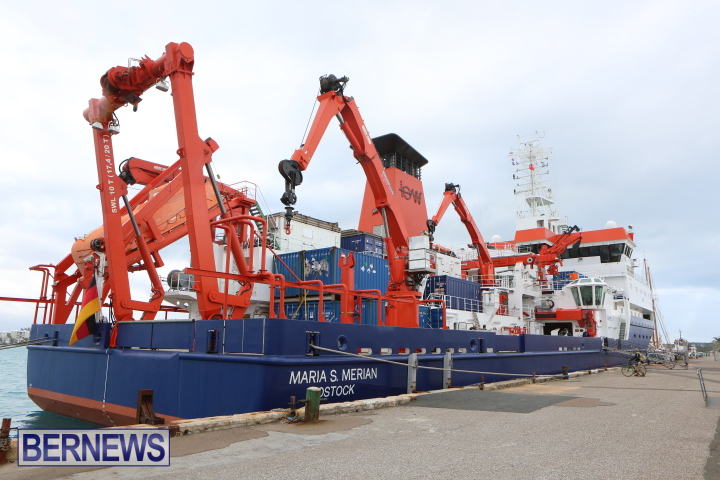 Update: According to a paper from Hamburg University [PDF] the vessel will set out to the Sargasso Sea with the “comprehensive and interdisciplinary research cruise will assess the hydrographic and ecological situation of the central Sargasso Sea pelagic community, its key components and major trophic pathways. “Special focus will be given to the early life history stages [eggs and leptocephali] of the two Atlantic freshwater eel species of the genus Anguilla in their presumed spawning grounds to elucidate potential causes for the catastrophic decline of the commercially important European eel stock.